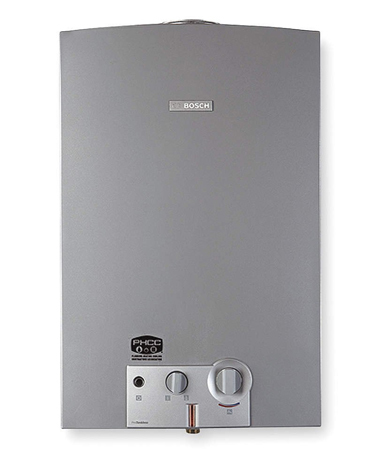 The Therm 520HN incorporates an evolutionary hydro-power ignition system which allows this tankless water heater to work without a standing pilot, grid connection or battery! A small turbine inside the water heater uses the energy from the flowing water to ignite the burner. The modulating gas valve then maintains a constant temperature at varying flow rates. This innovative technology, patented by Bosch, makes this an ideal product for installations without access to electricity or regions prone to inclement weather and power outages.